Blue Willow Aluminium are proud pioneers of a ground breaking system, leading the field in South Africa with responsible, conscientious, hexavalent free, pre treatment manufacturing. We have taken unprecedented steps in building the first plant in South Africa that fully complies with European Legislation – most of us will remember when Erin Brockovich famously changed modern process industry in winning a historical court case against the use of Chrome VI. 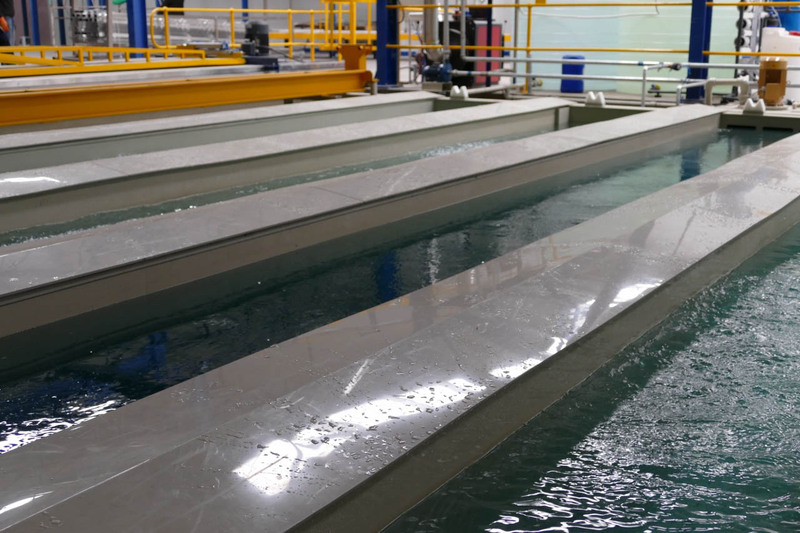 Our 8.3m tanks result in us being able to process longer lengths of aluminium, as at present average industry tanks are 7m. 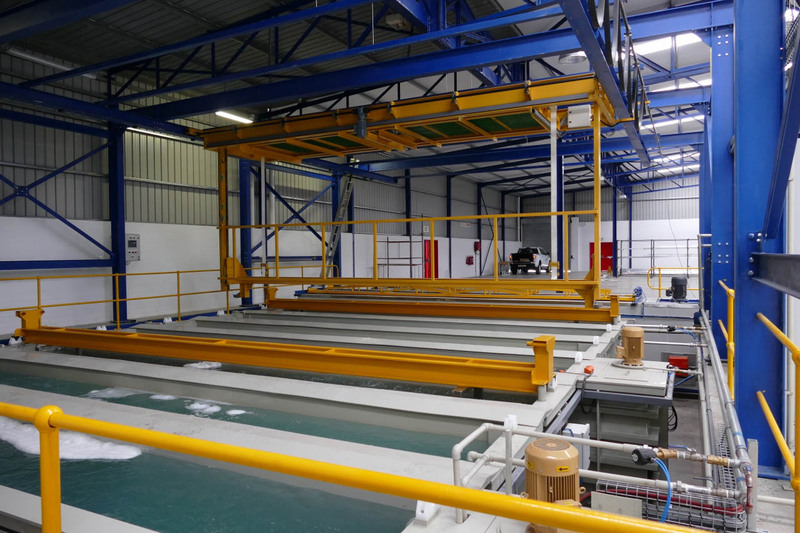 Our entire process is fully automated, making us the largest automated plant in South Africa. 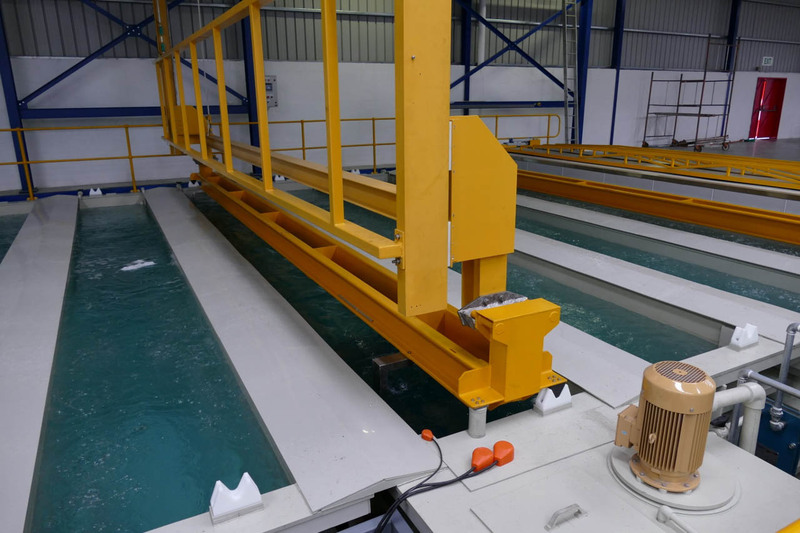 Our guaranteed quality comes from the constant reproducible production standards generated by this automated system. 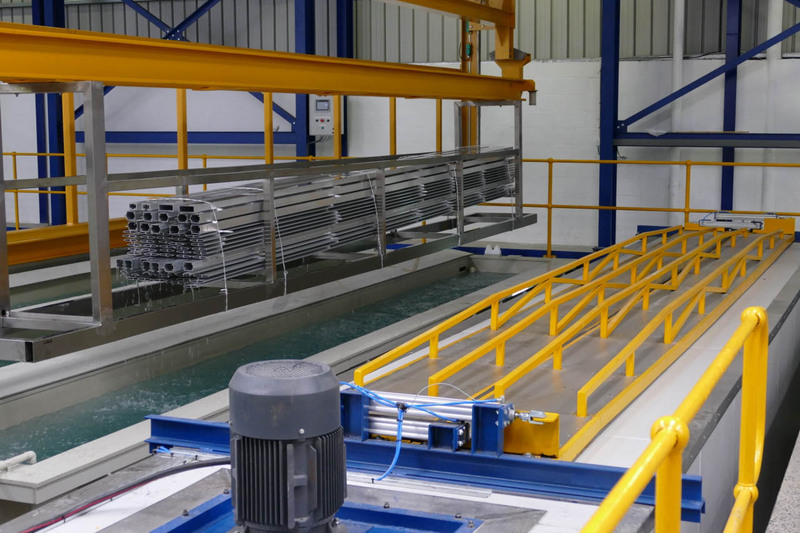 Blue Willow Aluminium pre-treatment system encompasses the most environmentally advanced and technically sophisticated chemical process available, for the preparation of aluminium prior to powder-coating. 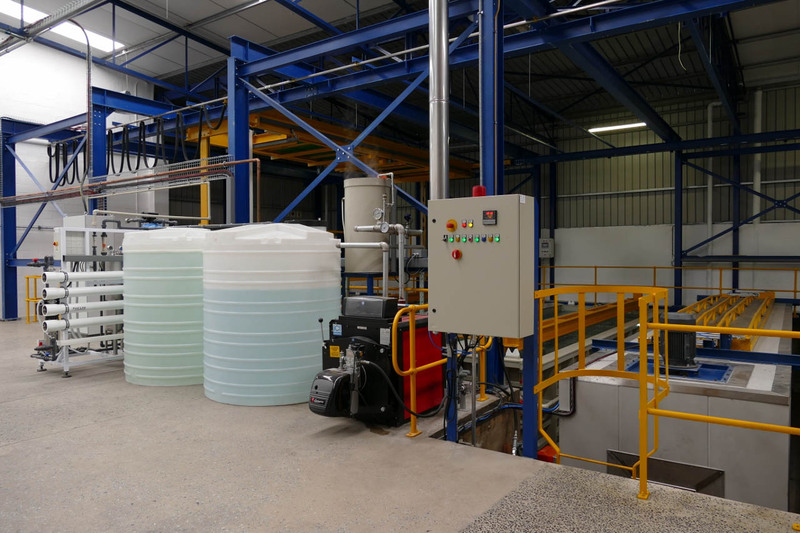 The fully automated pre-treatment process begins with the production of ultra-pure water; ultra-pure water is used throughout the process providing a transitional medium from one chemical process to the next. 100% of water fed into the system is utilized in the process, including the reverse osmosis waste stream. Once the water has fulfilled it's function through the pre-treatment process, it is automatically treated and then re-utilized in the garden irrigation system. 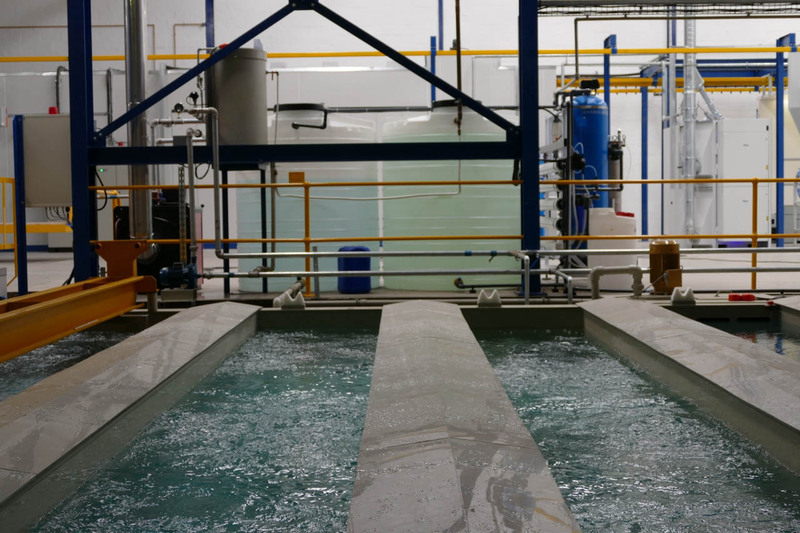 The process is so advanced the recycled water is, in fact, cleaner than municipal water that goes into the pre-treatment plant. 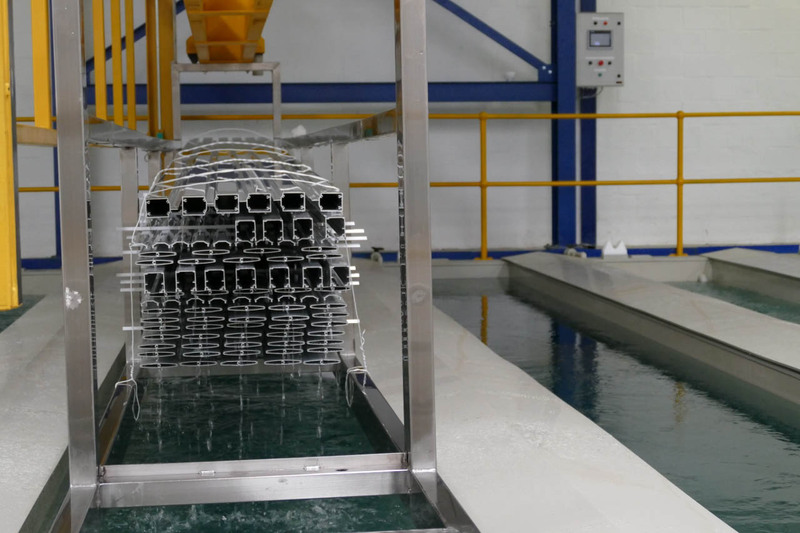 Aluminium pre-treatment is accomplished in two chemical zones at ambient temperature. The first zone deoxidises the aluminium by removing the oxidised surface layer including all contamination contained with the surface microstructure. 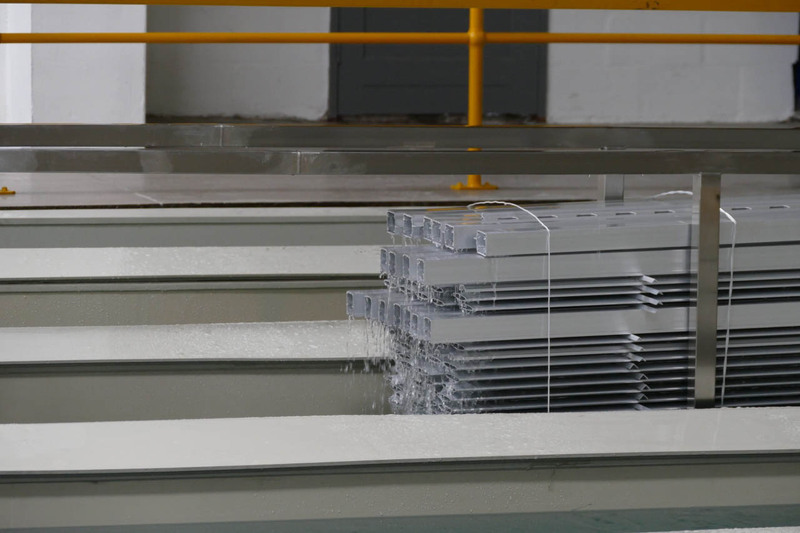 The second zone forms a reaction layer with the aluminium providing; galvanic protection, an amorphous layer for powder-paint to adhere and, bare corrosion protection of the aluminium whilst in transition after the pre-treatment step to the final powder-coating process. Copyright © 2015 Blue Willow Aluminium.